Went to the doctors AGAIN today. Got some more antibiotics. Of the super strength variety. Dinner was a bit sucky tonight. Looks colourful though. 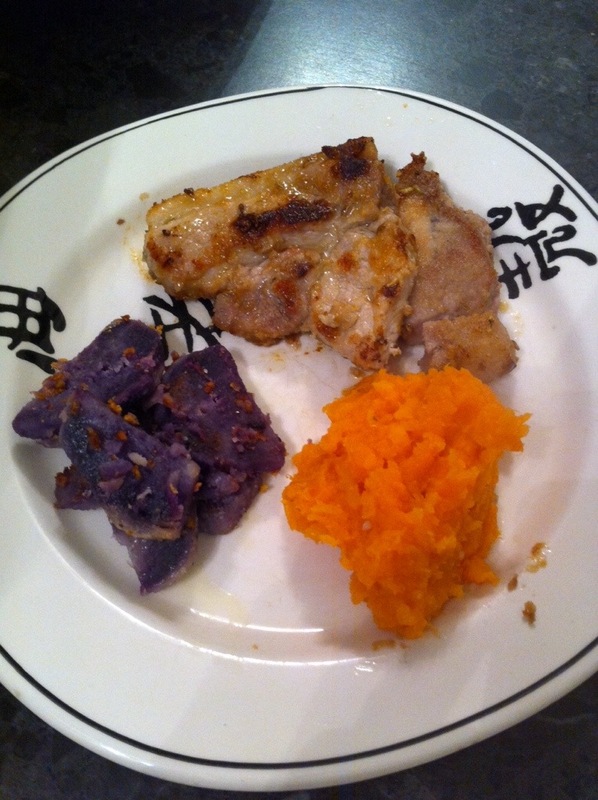 Pork chops, mashed sweet potato & carrots and purple sweet potato.